Drupal 8. Docker, composer, bootstrap, laravel-mix boilerplate. CI on GitLab | We Make Good Web. I’ve created a simple boilerplate to rapidly develop Drupal application based on the technological stack we work day-to-day. Purpose of that was to implement new programmers in Drupal 8 environment in easy way. where helloworld is name of folder where the website will be stored. 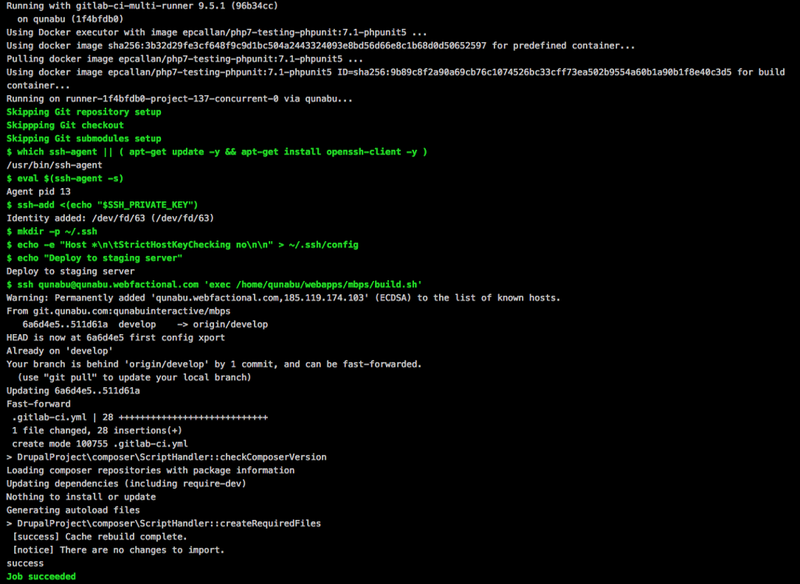 Drupal is installed now lets continue with setting up the frontend environment. now you need to copy files from subtheme folder into new custom theme. This way you would have sub-theme that extends main theme. visit http://localhost:8888 login into admin panel, and enable the new theme. If you’ve ever been confused and overwhelmed about getting started with Webpack and asset compilation, you will love Laravel Mix. However, you are not required to use it while developing your application. Of course, you are free to use any asset pipeline tool you wish, or even none at all. and lets create web/themes/custom/helloworld/es6/global.js js file, which would be entry file for all out js scripts. Once this is setup, calling scripts npm run watch launches browser sync at available port (most likely http://localhost:3000) and watches all the css and js changes. It runs browsersync so all the css changes are replaced without refreshing and all the js changes would refresh the browser. You change change browsersync settings in the webpack.mix.js file. Script npm run prod compress css & js into production ready files. Note that the following setup is good only for staging or test server, not for production use. First lets create deploy script build.sh. This is just an example you would have to change the values on your machine. Change access rights with chmod 700 build.sh and test with ./build.sh to see if everything works fine. Here is example from Gitlab console of successful build. Drupal 8. Docker, composer, bootstrap, laravel-mix boilerplate. CI on GitLab was originally published in Qunabu Interactive on Medium, where people are continuing the conversation by highlighting and responding to this story.